From an unprecedented look at what has been called the Gifted Generation, to a behind the scenes review of the costs and benefits of hosting major political party conventions, to an exploration of the factors that prompt citizens to reject public policies that appear to give them exactly what they want, College of Liberal Arts & Sciences faculty have published an array of books that pull back the curtain on government topics that affect citizens’ lives. College authors and editors from diverse academic disciplines each year research, write and edit books that are intended to educate the general public, government leaders and managers, students and professors. 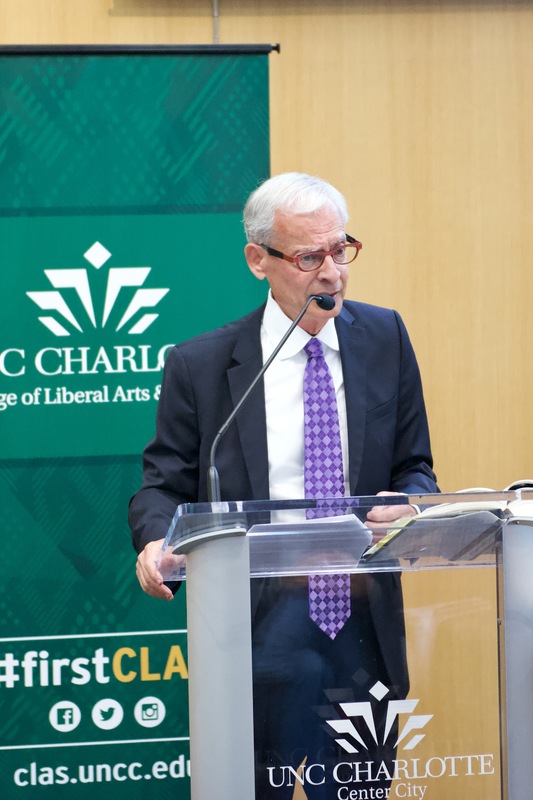 Authors also frequently give talks about the research that resulted in their books, including at the Personally Speaking published authors’ series, presented in partnership with J. Murrey Atkins Library and UNC Charlotte Center City. We include a sampling of books here; stories about other College books can be found in the Ink section of this publication. 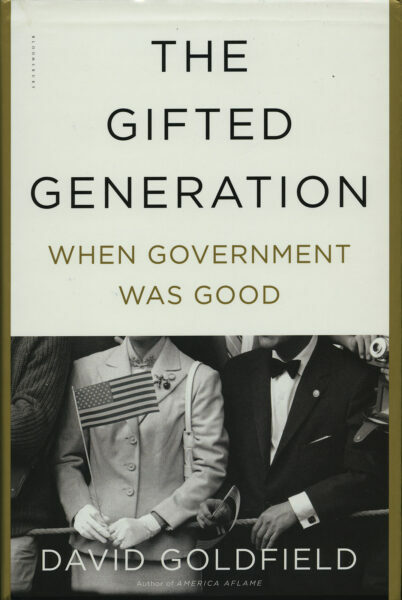 In The Gifted Generation (Bloomsbury USA), UNC Charlotte Robert Lee Bailey Professor of History David Goldfield examines the generation immediately after World War II and argues that the federal government was instrumental in the great economic, social, and environmental progress of the era. Following the sacrifices of the Greatest Generation, the returning vets and their children took the unprecedented economic growth and federal activism to new heights. This generation was led by presidents who believed in the commonwealth ideal: the belief that federal legislation, by encouraging individual opportunity, would result in the betterment of the entire nation. In the years after the war, these presidents created an outpouring of federal legislation that changed how and where people lived, their access to higher education, and their stewardship of the environment. They also spearheaded historic efforts to level the playing field for minorities, women and immigrants. But this dynamic did not last, and Goldfield shows how the shrinking of the federal government shut subsequent generations off from those gifts. Goldfield brings this unprecedented surge in American legislative and cultural history to life as he explores the presidencies of Harry S. Truman, Dwight D. Eisenhower, and Lyndon Baines Johnson. He shows how the nation’s leaders persevered to create the conditions for the most gifted generation in U.S. history. The campaign finance system regulates campaign contributions and behavior with the intent to eliminate corruption or the potential for corruption in elections, she finds. With that goal in mind, state legislators created statutes regulating campaign behavior. 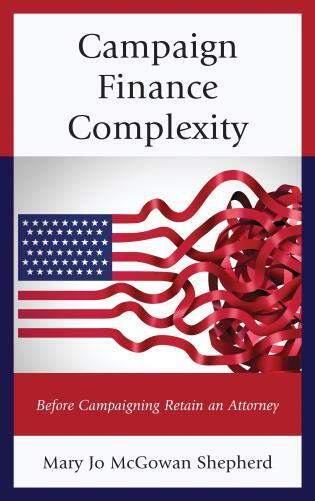 Each state has wide variation in the complexity of campaign finance regulations, including the language used and whether it is complex or “plain language,” Shepherd writes. Regulatory systems create a network of rules and regulations, and campaign finance is no different. The difference is in the behavior regulated and the potential negative impacts of a complex regulatory system. From the Affordable Care Act to No Child Left Behind, politicians often face a puzzling problem: although most Americans say they support the aims and key provisions of these policies, they oppose the bills themselves. How can this be? Why does the American public so often reject policies that seem to offer them exactly what they want? 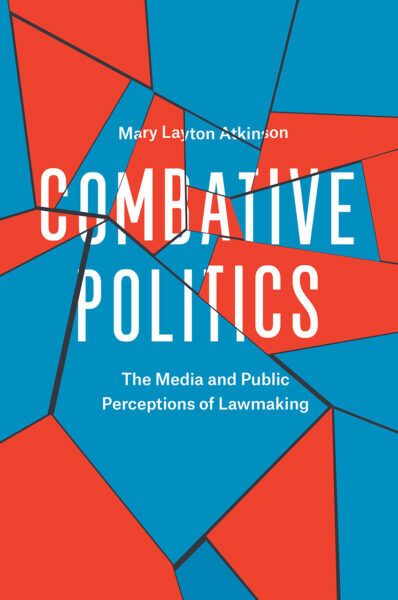 By the time a bill is pushed through Congress or ultimately defeated, we have often been exposed to weeks, months—even years—of media coverage that underscores the unpopular process of policymaking, and in her book Combative Politics: The Media and Public Perceptions of Lawmaking (University of Chicago Press), Mary Layton Atkinson argues that this leads us to reject the bill itself. Contrary to many Americans’ understandings of the policymaking process, the best answer to a complex problem is rarely self-evident, and politicians must weigh many potential options, each with merits and drawbacks. As the public awaits a resolution, the news media tend to focus not on the substance of the debate but on descriptions of partisan combat. This coverage leads the public to believe everyone in Washington has lost sight of the problem altogether and is merely pursuing policies designed for individual political gain. Politicians in turn exacerbate the problem when they focus their objections to proposed policies on the lawmaking process, claiming, for example, that a bill is being pushed through Congress with maneuvers designed to limit minority party input. These negative portrayals become linked in many people’s minds with the policy itself, leading to backlash against bills that may otherwise be seen as widely beneficial. Political party conventions have lost much of their original political nature, serving now primarily as elaborate infomercials while ratifying the decisions made by voters in state primaries and caucuses. While this activity has not changed significantly since the 1970s, conventions themselves have changed significantly in terms of how they are recruited, implemented, and paid for. American Cities and the Politics of Party Conventions (SUNY Press) analyzes how and why cities advance through the site selection process. Just as parties use conventions to communicate their policies, unity, and competence to the electorate, cities use the convention selection process to communicate their merits to political parties, businesses and residents. While hosting such a “mega-event” provides some direct economic stimulus for host cities, the major benefit of the convention is the opportunity it provides for branding and signaling status. Combining a case studies approach as well as interviews with party and local officials, Heberlig and Leland of UNC Charlotte, and Swindell, now of Arizona State University and formerly UNC Charlotte, bring party convention scholarship up to date while highlighting the costs and benefits of hosting such events for tourism bureaus, city administrators, elected officials, and the citizens they represent. They also explore the possible benefits associated with hosting such mega events in terms of the political fortunes of local leaders, citizens’ satisfaction with being in the national limelight, the economic impacts they may or may not accrue to the hometown, and the marketing value of being the political capital of the world’s attention for four days. 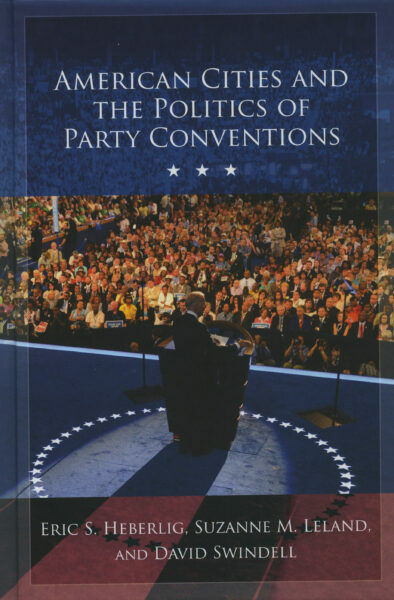 While the book examines party conventions back to the early 1990s, it also provides a unique behind-the-scenes look at the day-to-day operations of political convention hosting through extensive interviews with public administrators, local leaders, and national party officials responsible for hosting the 2012 National Democratic Convention in Charlotte. Who would pay $400 for a hammer or $800 for a coffee pot? You probably wouldn’t, but people often bring up these cases as examples of the federal government wasting taxpayer money. Despite news media reports on these outrageous items, the reality is that government does not actually pay that much for a particular hammer or coffee pot. Yet, the $400 hammer or $800 coffee pot is a difficult problem for government financial management. Beyond the potential for political sensitivity of government purchases, the larger problem is cost accounting and how it is done to calculate the direct and indirect cost of the service or object. For example, the case of the hammer was an actual situation, and a large amount of engineering costs for the development of a larger weapons system were allocated down to the relatively limited amount of direct costs, which gave the appearance of fraud, waste, and abuse. Given these past instances with cost accounting, a reasonable person may ask whether cost accounting is worth the trouble. The perhaps surprising answer is that it is worth it to government. 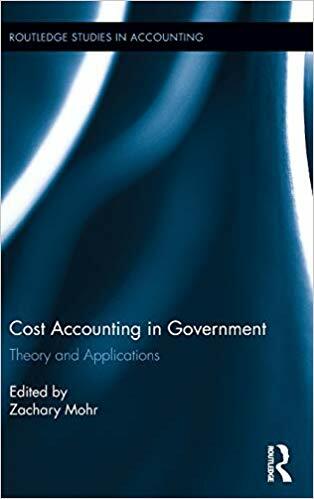 Aimed at academics, researchers and policymakers in the fields of accounting, public administration, and government studies, Cost Accounting in Government: Theory and Applications (Routledge) seeks to address the practical and theoretical gap in government cost accounting research with case studies of different public agencies that are using cost accounting for different purposes. The case studies illustrate that different purposes for cost accounting create unique and interesting cost accounting practices. The case studies provide useful examples of actual cost accounting systems that can inform both research and teaching. Image: Author David Goldfield giving a Personally Speaking talk.